The paper highlights a recent research quandary with respect to infrastructure equity investment which has also been a source of interrogation for final investors: while the economics of underlying infrastructure investment suggests a low and potentially attractive risk profile, the experience of investors and available research evidence have been different and rather mixed. 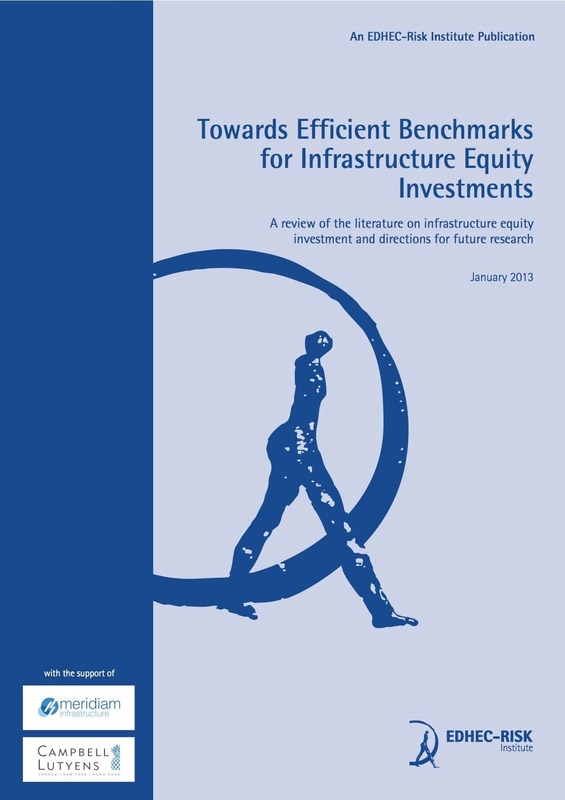 This paper attempts to explain why this has been the case and what new research and benchmarking efforts are necessary to create investment solutions that realign expectation and observed investment performance as well as to inform the regulatory debate in relation to institutional investing in long-term assets like infrastructure equity.  The paper highlights a recent research quandary with respect to infrastructure equity investment which has also been a source of interrogation for final investors: while the economics of underlying infrastructure investment suggests a low and potentially attractive risk profile, the experience of investors and available research evidence have been different and rather mixed. This paper attempts to explain why this has been the case and what new research and benchmarking efforts are necessary to create investment solutions that realign expectation and observed investment performance as well as to inform the regulatory debate in relation to institutional investing in long-term assets like infrastructure equity. Our contribution is threefold: in a first part, we discuss the nature of underlying infrastructure equity and what mechanisms explain its investment characteristics. Next, we review the rationale for infrastructure investing by insurance companies and pension funds and existing empirical research on the performance of existing investment routes and vehicles. Finally, we discuss what approaches to benchmarking and portfolio construction might best capture the characteristics of underlying infrastructure and highlight the need for new data collection and appropriate benchmarking methodologies. Infrastructure equity investments derive their characteristics from the contractual relationship that creates the opportunity to delegate¹ investment in stand-alone infrastructure facilities. These investments are relationship-specific i.e. they have little or no value outside of the contractual relationship in question, in particular, they have no value if they are not used. In this respect they are the opposite of real assets since they have no intrinsic value. From the relationship specificity of infrastructure investments also springs their tenor, since they can only be recouped over a period of effective use. This tenor is typically long enough (beyond ten years) to qualify as long-term. Furthermore, a significant proportion of any country’s infrastructure is public infrastructure insofar as a public entity guarantees the continuity of service. Thus, despite investment delegation, the ownership of most tangible infrastructure remains explicitly in the public domain, and always implicitly under the eminent domain of the State. Hence, when contracts have a well-defined tenor (e.g. project finance), the terminal value of such investments can be considered to be zero.² Likewise, when assets are held in perpetuity (e.g. utilities) the exit value of the firm’s equity should solely be a function of risk-adjusted expected cash flows to equity. In the absence of valuable tangible assets, it follows that firms existing solely to enter into long-term contracts delegating investment in standalone infrastructure projects – usually known as project companies or special purpose vehicles, but also utilities – derive their value solely from the characteristics of those contracts and the cash flows to which they give rights. These contracts delegating infrastructure investment are characterised by a risk-sharing mechanism embodied by the revenue model agreed between the delegating party and the party carrying out the investment. While numerous risk-sharing agreements can be envisaged, in principle, few are used in practice (BlancBrude 2012c). Availability payment schemes, by which the public sector promises to pay a fixed income over a pre-agreed period, typically in excess of two decades, in exchange of what the investor accepts responsibility for the investment, operating, debt service and residual equity cash flows related to delivery of an infrastructure project, according to an agreed output specification. Terminal value is set to zero and control of the physical assets is returned to the public sector at the end of the contract. This model is typically used to deliver social infrastructure projects like schools, hospitals or government building. Commercial schemes, by which the public sector enters into the same contract with an investor but in exchange for a variable income cash flow. This is typically the case with tolled transportation projects, for which the investor is granted the right to collect tolls/tariffs from users. Terminal value is set to zero in most jurisdictions. This model is typically used for transport projects with real tolls. Capped commercial schemes consist of the same investment proposition than commercial schemes but with a larger degree of revenue sharing with the public sector on the upside (e.g. capped/floored equity returns in utilities, shadow tolls in transport projects, &c). Terminal value may not always be set to zero e.g. privatised utilities own tangible assets outright and in perpetuity, but as discussed earlier, an implicit contractual relationship with the public sector (eminent domain), to which an explicit regulatory framework may be added, conditions the value of the investment. The first proposition can be considered as the reference contract while the second and third propositions are variants including a risk premium for commercial risk and varying degrees of risk sharing between the public and private sector. Downside protection for example may take the form of implicit (e.g. continuity of public service for utilities) or explicit government guarantees (e.g. minimum revenue guarantees in some toll road concession contracts). In the case of private infrastructure, that is when both parties are private firms, contractual arrangements tend to combine the availability payment model using a so-called ‘take-or-pay’ purchasing agreement, by which the party delegating investment also commits to paying for up to a certain level of output defined as a proportion of capacity, and commercial risk for the remaining capacity (e.g. coal processing terminal). Having acknowledged the contractual nature of infrastructure equity investments, we review how they are created empirically. The immense majority of them correspond to either privatised utilities or project financing. Together, these two forms account for most privately invested infrastructure in Europe and the world since the 1980s. Hence the contractual and regulatory arrangements found in project financing and utility regulation can explain cash flows to equity and what risks should be taken into account when valuing individual projects. The literature argues that project-specific risks like construction and operations are well managed through networks of contracts. The role of the financial structure is also of interest given the high leverage observed in project financing and the increasing leverage of regulated utilities’ balance sheets in recent years. Here, the academic literature on corporate finance argues, perhaps counter-intuitively, that high leverage is a sign of low asset risk. As is well documented in the economic literature, private investment creates incentives for cost control and operational efficiency. Hence, construction or credit risk in a project finance setting can be considered endogenous or managed risks. Exogenous sources of risk affecting cash flows to equity in infrastructure projects and utilities include demand risk, contract renegotiation and political risk. Empirical studies show that the presence of demand risk in the revenue model of an infrastructure investment vehicle creates significantly riskier equity. To the extent that the equity returns of different infrastructure assets are influenced by different demand risks or influenced differently by the same demand risk, there is diversification potential in a portfolio context. Moreover, the lifecycle of infrastructure projects – from construction to operations to decommissioning – can be expected to impact equity valuations, risk and profitability and be a source of portfolio diversification as well. Finally, the economic literature argues theoretically and empirically that long-term contracts will almost necessarily lead to renegotiations either because the contract is silent about a particular state of the world, or because the opportunity to continue the delegation process under the conditions initially agreed is questioned by one party. In this context, the economic regulation of utilities is a case of planned renegotiation. However, the outcome of renegotiation is not necessarily to increase equity risk insofar as it allows for the continuous adaptation of the contractual commitment of the parties. It can however be a source of opportunism and redistribute the contract surplus ex post. Thus, economics and financial economics provide a rich framework to understand the nature of underlying infrastructure equity investment. Theoretical and empirical work on contracts and economic regulation in particular highlight the mechanisms that drive the risk and returns of infrastructure equity. The decision to invest equity in firms that solely enter into long-term contracts delegating investment in infrastructure projects must rest on an explicit or implicit model. In line with our review of the nature of underlying infrastructure, we call this model the infrastructure investment narrative after Daniel Kahneman definition of a narrative as “the passive acceptance of the formulation given” (Kahneman, 2002). According to this often implicit model, tangible infrastructure assets, immobile and demanding high sunk capital costs and long repayment periods, are expected to create monopolies thanks to barriers to entry and increasing returns to scale. Thus, assets owners are expected to benefit from the low elasticity of demand creating pricing power and an inflation hedge, as well as low return covariance with other investments, allowing attractive risk-adjusted returns. Investors may decide to invest in infrastructure equity for other reasons than the investment narrative defined above, with different time horizons and different return expectations. Still, we expect the majority of investors to be considering infrastructure equity investment in order to replicate this investment narrative, either to contribute to objectives of performance seeking (higher Sharpe ratio) or liability hedging (duration, inflation link, &c). The empirical question is how this investment narrative may be captured. 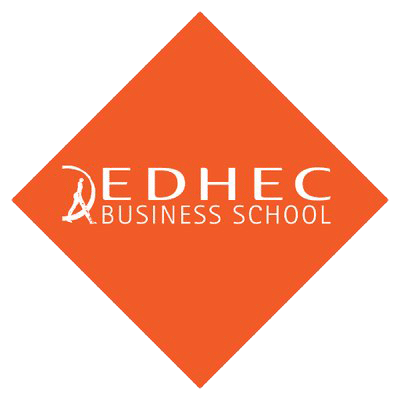 We review existing research on several vehicles: listed infrastructure indices, listed infrastructure funds, unlisted close-ended 7 to 10-year private equity style funds (PE) and direct investment (without intermediation or external managers) in project company equity and privatised utilities by final investors. Existing academic research finds that listed infrastructure indices and unlisted infrastructure PE do not deliver the infrastructure investment narrative consistently, while direct investment can be expected to suffer from important portfolio construction issues leading to over-concentration. The research results reviewed here may help explain the evolution of the perception of infrastructure equity investment amongst final investors over the last decade, and their reported frustration regarding the delivery of the infrastructure investment narrative. However, we argue that none of these strategies is designed to access the characteristics of underlying infrastructure effectively and efficiently. Indeed, they are driven by a focus on the physical characteristics of underlying infrastructure assets and, in the case of unlisted PE funds, they are speculative strategies with a focus on exit value as opposed to capturing the full tenor of infrastructure contracts. Direct investments by final investors should be more suitable in principle but lot sizes create significant diversification challenges without intermediation i.e. access to granularity. In order to capture the investment narrative suggested by the economics of infrastructure investment, better benchmarks and more appropriate strategies are needed. Institutional investors should express great interest in using index-based products to increase their exposure to infrastructure. Indices have the potential to meet the major expectations institutional investors have of infrastructure investment. In a multi-asset class context, indices can provide infrastructure market beta and therefore a means of diversification. Also supporting the fact that index instruments make infrastructure diversification possible, infrastructure index portfolios by themselves are likely to provide attractive risk-adjusted returns, suitably designed index portfolio will optimise the risk-reward ratio at the portfolio level by combining constituents on the basis of scientific diversification. The production of an infrastructure beta requires that the portfolio be made free of specific risk. If specific risk cannot be easily diversified, then betas will not be available and there will be basis for compensation of total risk rather than market risk only. Although the potential benefits of index-based infrastructure products seem very attractive, our current knowledge based on past experience of PE funds or listed infrastructure companies is inappropriate to develop such products. Building infrastructure betas will require concerted efforts between final investors, investment managers and academics. We argue that infrastructure equity investment should rely on two principles: building blocks that are representative of the contractual nature of the underlying and portfolio/benchmark construction that optimises the risk/return trade-off of these building blocks. Efficient portfolio construction and benchmarking using infrastructure equity should aim to optimise diversification benefits by exploiting the different phases of the asset lifecycle and the different level of systematic and remunerated risk found between different types of contractual and regulatory frameworks. Creating efficient benchmarks for infrastructure equity investing will go a long way in allowing final investors like insurance companies and pension funds to assess the riskiness of such investments. It is apparent from our review and discussion that substantial data reclassification as well as new data collection is needed, and a significant amount of theoretical and empirical work remains to be done to arrive at appropriate benchmarks and to test the sensitivity of equity investment to different categories of risk found in project finance, regulated utilities and other legitimate infrastructure investments areas, including the role and diversification potential of the different periods in the lifecycle of infrastructure investments. We also aim to inform the regulatory debate in relation to institutional investing in long-term assets like infrastructure equity under, for example, the Solvency II regime.  Data collection, reporting standards and the development of infrastructure equity benchmarking research will be some of the major undertakings of the EDHECRisk Institute Research Chair supported by Meridiam & Campbell Lutyens in 2013 and 2014. 1 – Here the term ‘delegation’ refers to any contractual arrangement by which one party assigns the execution of a task to another, as it is used in economics and contract theory. ‘Public service delegation’ which often designates concession contracts for public services is only one case of task delegation. 2 – Here ‘terminal value’ refers to holding an equity investment in an infrastructure project until maturity i.e. the end of the contract.